Volunteers, staff and clients from a Bath-based youth mentoring charity are taking to their bikes to raise funds for services to support and inspire young people in the area. 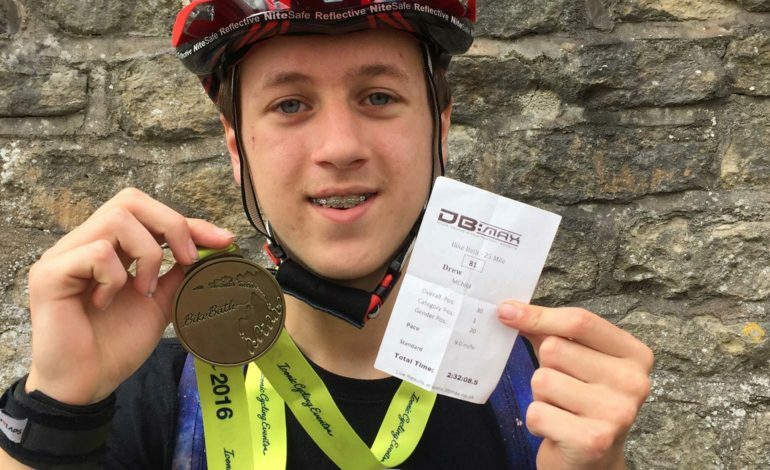 Mentoring Plus, which works with vulnerable young people aged 8-21 in Bath and North East Somerset, is fielding three teams of mentor/mentee pairs at popular cycling sportive Bike Bath. It is the third year the charity has taken part in the ride. Last year they raised £3,000, which was used to train mentors to work alongside vulnerable young people in the community. This year they are seeking corporate sponsorship to help them achieve even more which will go towards supporting young people facing significant challenges such as difficulties at school, family breakdown, poverty and isolation. Former mentee Drew, together with his mentor, will once again be cycling the 25-mile ride to raise money for Mentoring Plus. This will be the third year he has taken part in the ride to thank the charity which he says changed his life. Drew said: “After struggling at secondary school, I was mentored for a year and have gone on to do well at both college and at military academy. “I am now a regular attendee of Mentoring Plus’ Youth Reps group which aims to give young people a voice. “My time with Mentoring Plus and my mentor has shown me that no matter how different I feel, there’s always someone going through similar experiences. Organised by cycling experts Iconic Cycling Events and championed by national property developer Redrow Homes, the seventh Bike Bath will take place on Sunday 1st July. The sportive expects to welcome over 1,500 riders from across the region. The event will start and end at the Rec in the heart of Bath. Riders will have the choice of three new rides this year – the 25-mile social, or the 50 or 80-mile challenge. Riders will also enjoy some of the region’s finest food and drink at food stations along the routes and a celebratory pint of Bath Ale at the finish. Richard Best, CEO of Iconic Cycling Events, said: “Bike Bath is focussed on supporting local charities, so I am delighted that the team from Mentoring Plus is riding with us again. For more information and to register, visit the website: http://www.bikebath.co.uk/.